National Roofing Contractors Association (NRCA) has designated June 4-10, 2017 as National Roofing Week. The goal is to increase awareness about roofing for both residential and commercial applications and promote the good deeds of the industry. National Roofing Week also encourages the importance of hiring a professional roofing contractor and making informed decisions about any roof system. NRCA celebrates by contributing to organizations in the community and members are encouraged to share their story of charitable giving. Seaman Corporation, the parent company of FiberTite Roofing System, is pleased to share their support to World Vision, a non-profit organization working to help communities lift themselves out of poverty. Over 45,000 yards of tarp and coated fabric have been donated to this organization for distribution in Africa and other countries over the past two years. The drought and ongoing conflict in Somalia have left nearly three million people in crisis. Crops have been adversely affected, water sources have dried up and many families have been driven from their homes. World Vision is working in the hardest-hit areas of Somalia to provide emergency food, clean water, healthcare and more. 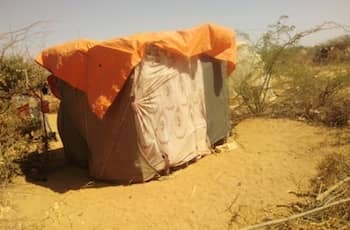 The donated tarp and coated fabric from Seaman Corporation have been used to build shelter for many people who have been displaced from their homes. This material is also used to line ditches and capture any rain that happens to fall during this time of drought. We are proud to be a part of National Roofing Week to celebrate roofing, the skilled roofing contractors and all of our partners in the industry.